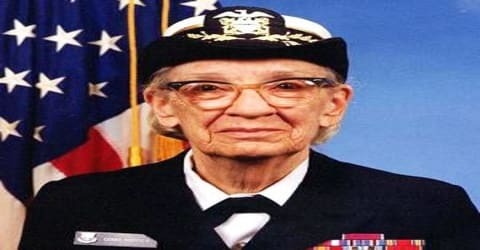 Grace Hopper – American computer scientist and United States Navy rear admiral. Place of Death: Arlington, Virginia, U.S.
Computer programmer Grace Hopper was born on December 9, 1906, New York, U.S. She was an American mathematician and rear admiral in the U.S. Navy who was a pioneer in developing computer technology, helping to devise UNIVAC I, the first commercial electronic computer, and naval applications for COBOL (common-business-oriented language). Eldest among her siblings, Grace was a curious child and went to Hartridge School in New Jersey for preparatory education. Her attempt to enter the Vassar College was faced with rejection for the first time as she did not have satisfactory marks in Latin. She was accepted the following year and graduated with her Bachelor’s degree in Physics and Mathematics. Two years later she earned her Master’s degree in the same discipline from Yale University. While doing her Ph.D. under Oystein Ore, she taught in Vassar College, where she earned the position of Associate Professor after ten years of service. Hopper attempted to enlist in the Navy during World War II but was rejected because she was 34 years old. She instead joined the Navy Reserves. Hopper began her computing career in 1944 when she worked on the Harvard Mark I team led by Howard H. Aiken. 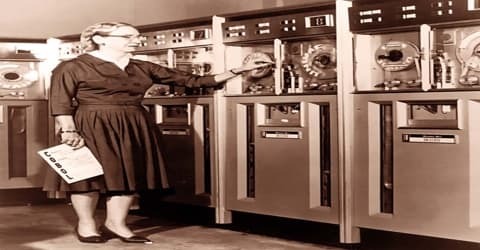 In 1949, she joined the Eckert–Mauchly Computer Corporation and was part of the team that developed the UNIVAC I computer. At Eckert–Mauchly she began developing the compiler. She believed that a programming language based on English was possible. Her compiler converted English terms into machine code understood by computers. By 1952, Hopper had finished her program linker (originally called a compiler), which was written for the A-0 System. Hopper was assigned to the Bureau of Ordinance Computation Project in Harvard. After her naval duties ended, she joined Remington Rand, where she worked on UNIVAC. She became the Director of automatic programming and sought to find specifications of common business language in computer leading to the discovery of COBOL or Common Business-Oriented Language. This was the first user-friendly computer software and Grace was responsible for advocating the validation process to bring international standardization of computer languages. Owing to her accomplishments and her naval rank, she was sometimes referred to as “Amazing Grace”. The U.S. Navy Arleigh Burke-class guided-missile destroyer USS Hopper was named for her, as was the Cray XE6 “Hopper” supercomputer at NERSC. 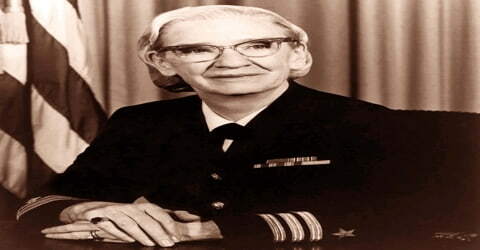 Grace Hopper, in full Grace Murray Hopper, née Grace Brewster Murray, was born on December 9th, 1906 in New York and was the oldest among her siblings. Her parents Walter Fletcher Murray and Mary Campbell Van Horne were of mixed culture; Scottish and Dutch. Her great-grandfather, Alexander Wilson Russell, an admiral in the US Navy, fought in the Battle of Mobile Bay during the Civil War. Grace was very curious as a child; this was a lifelong trait. At the age of seven, she decided to determine how an alarm clock worked and dismantled seven alarm clocks before her mother realized what she was doing (she was then limited to one clock). For her preparatory school education, she attended the Hartridge School in Plainfield, New Jersey. Hopper was initially rejected for early admission to Vassar College at age 16 (her test scores in Latin were too low), but she was admitted the following year. She graduated Phi Beta Kappa from Vassar in 1928 with a bachelor’s degree in mathematics and physics and earned her master’s degree at Yale University in 1930. She then began research work for her doctoral degree simultaneously taking up a position as a member of the faculty at the ‘Vassar College’ in 1931, and was promoted to associate professor in 1941. In 1934, Hopper earned a Ph.D. in mathematics from Yale under the direction of Øystein Ore. Her dissertation, “New Types of Irreducibility Criteria”, was published that same year. Grace Hopper was married to New York University professor Vincent Foster Hopper (1906–1976) from 1930 until their divorce in 1945. They had no children. She did not marry again but chose to retain his surname. Grace Hopper, who became an associate professor at Vassar, continued to teach until World War II compelled her to join the U.S. Naval Reserve in December 1943 (she opted for the Navy, as it had been her grandfather’s branch of service). She was commissioned as a lieutenant in June 1944. 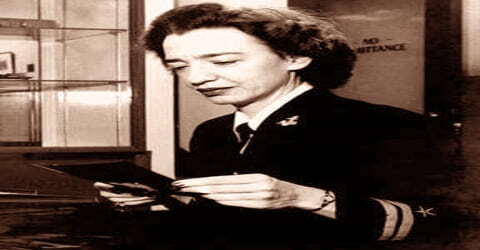 Given her mathematical background, Hopper was assigned to the Bureau of Ordnance Computation Project at Harvard University, where she learned to program a Mark I computer. She remained at Harvard as a civilian research fellow while maintaining her naval career as a reservist. After a moth infiltrated the circuits of Mark I, she coined the term bug to refer to unexplained computer failures. Hopper served on the Mark I computer programming staff headed by Howard H. Aiken. Hopper and Aiken co-authored three papers on the Mark I, also known as the Automatic Sequence Controlled Calculator. 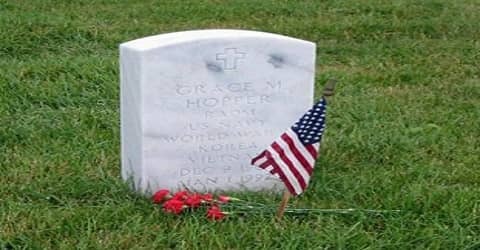 Hopper’s request to transfer to the regular Navy at the end of the war was declined due to her advanced age of 38. She continued to serve in the Navy Reserve. Hopper remained at the Harvard Computation Lab until 1949, turning down a full professorship at Vassar in favor of working as a research fellow under a Navy contract at Harvard. In 1946, Grace resigned from Vassar to become a research fellow in Harvard’s Computation Laboratory. She took up the position in applied physics and engineering. In 1949, Hopper became an employee of the Eckert–Mauchly Computer Corporation as a senior mathematician and joined the team developing the UNIVAC I. Hopper also served as UNIVAC director of Automatic Programming Development for Remington Rand. The UNIVAC was the first known large-scale electronic computer to be on the market in 1950 and was more competitive at processing information than the Mark I. This company was taken over by Remington Rand in 1950 and was merged with ‘Sperry Corporation’ after five years. During her years in Remington Rand, she was in charge of the programming of UNIVAC. In the year 1952, her team was responsible for creating the first compiler for computers. She remained with the firm when it was taken over by Remington Rand (1951) and by Sperry Rand Corp. (1955). In 1952, her team created the first compiler for computer languages (a compiler renders worded instructions into code that can be read by computers). This compiler was a precursor for the Common Business Oriented Language, or COBOL, a widely adapted language that would be used around the world. Though she did not invent COBOL, Hopper encouraged its adaptation. 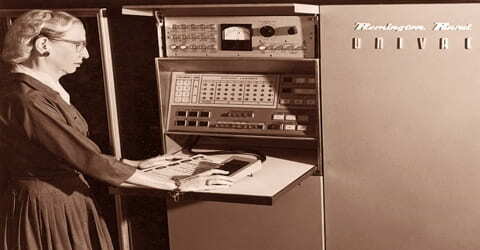 In 1957 her division developed Flow-Matic, the first English-language data-processing compiler. In 1959, at the ‘Conference of Data Systems Languages’, Hopper was the technical consultant of the committee. She along with her colleagues defined COBOL, or ‘Common Business-Oriented Language’, which is till date one of the most famous business languages. The new language extended Hopper’s FLOW-MATIC language with some ideas from the IBM equivalent, COMTRAN. Hopper’s belief that programs should be written in a language that was close to English (rather than in machine code or in languages close to machine code, such as assembly languages) was captured in the new business language, and COBOL went on to be the most ubiquitous business language to date. Among the members of the committee that worked on COBOL was Mount Holyoke College alumnus Jean E. Sammet. 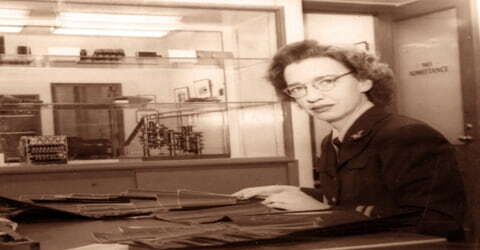 Hopper retired from the navy with the rank of commander in 1966, but she was recalled to active duty the following year to help standardize the Navy’s computer languages. Saying that she would be “bored stiff” if she stopped working entirely, Grace Hopper took another job post-retirement and stayed in the computer industry for several more years. She was awarded the National Medal of Technology in 1991 becoming the first female individual recipient of the honor. During her lifetime, Hopper was awarded 40 honorary degrees from universities across the world. A college at Yale University was renamed in her honor. In 1973, Hopper was the first woman and the first US citizen to be honored as the ‘Distinguished Fellow of the British Computer Society’. In 1986, she was awarded the ‘Defense Distinguished Service Medal’. In 1991, Grace Hopper received the ‘National Medal of Technology’. She was the first woman recipient of this honor. In her honor, the ‘Grace Hopper Celebration of Women in Computer Science’, a technical conference is organized which encourage women to be part of the computing world. She was an inspirational speaker who encouraged young people to learn to programme. A ‘Grace Murray Hopper Award’ is given in her honor by the ‘Association for Computing Machinery’. Grace Hopper died on January 1st, 1992, in her sleep of natural causes at her home in Arlington, Virginia; she was 85 years of age. She was interred with full military honors in Arlington National Cemetery. For her distinguished work in the field of computers, Grace was known as the ‘Amazing Grace’. She also earned the nickname Grandma COBOL for leading COBOL’s development. In 1997, the guided-missile destroyer, USS Hopper, was commissioned by the Navy in San Francisco. In 2004, the University of Missouri has honored Hopper with a computer museum on their campus, dubbed “Grace’s Place.” On display are early computers and computer components to educator visitors on the evolution of the technology. 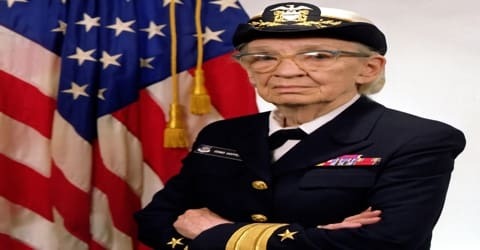 Grace Hopper was elected a fellow of the Institute of Electrical and Electronic Engineers (1962), was named the first computer science Man of the Year by the Data Processing Management Association (1969), and was awarded the National Medal of Technology (1991). She was posthumously awarded the Presidential Medal of Freedom in 2016. 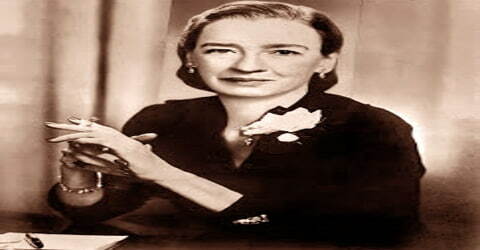 Grace Hopper led the team which invented COBOL or ‘Common-Business Oriented Language’, one of the user-friendly computer software programs which can be used for business purpose. Though she did not invent the language, she definitely encouraged its adaptation.